Definition - What does Extended Side Angle Pose mean? Extended side angle pose is a standing, side-stretching yoga posture that requires balance and flexibility. The pose offers a range of physical benefits, but it is also believed to relieve mental and emotional stress. 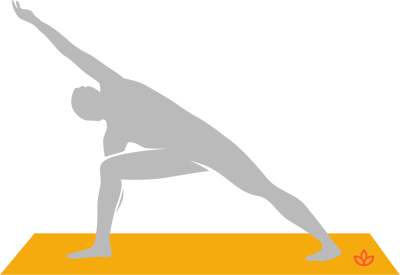 To practice this pose, the practitioner enters a lunge position. The lead arm rests on the lead leg or reaches to the ground, while the other arm extends overhead and forward, stretching the side of the body. The head turns upward to gaze at the sky. Extended side angle pose is sometimes called warrior angle pose and is also known by its Sanskrit name, utthita parsvakonasana. It is similar to extended triangle pose (utthita trikonasana), except that the latter pose is practiced with both legs straight. This pose is best practiced in the beginning or middle of a sequence of standing poses because it prepares the body for deeper stretches. Those with a neck injury or pain should keep their gaze straight ahead, rather than turning the head upward.